The origin of the name, Bretagne, “Little Britain”, comes from “Great Britain”, the island where their ancestors came from to escape the invading Saxons. By its geographical location and constant hostility to their Norman neighbours, Brittany maintained its independence, developed its own identity, language, culture and architecture separate from the rest of France. Finally conquered in the 16th Century by the King of France, Brittany lost its independence but kept its own regional individuality. 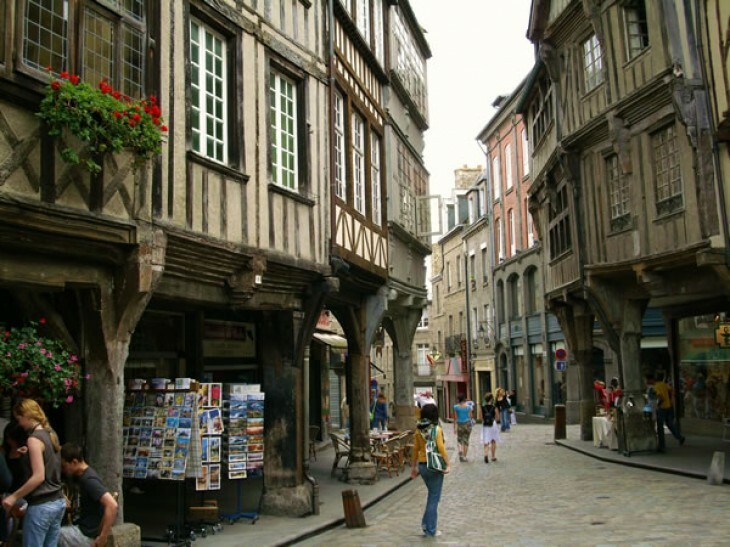 This can be seen today in numerous architectural styles such as the granite defenses of Fougeres, the gothic cathedral of Quimper and especially the numerous picturesque town centers and charming medieval houses like in Dinan or Vannes and even in the local capital city Rennes.